City flower delivery is essential to sending blooms to city residents. In crowded areas, this can be the easiest answer to delivering blooms. Delivery services can also make it possible to deliver while at work. Just because bouquets are popular for city and town flower delivery. Arrangements in this style are often free spirited and cheerful. Bright colors and fun vases are the key to creating the arrangements. Vivid mixes of blooms are often used for thinking of you bouquets. Yellows, pinks and blues are the most commonly chosen flower colors. White blossoms may also be added to create more contrast for displays. Daisies are one of the staples to this type of thoughtful arrangement. These cheerful blooms are often a top favorite for many occasions. Simple white and yellow daisies can be used for a classic appeal. Greenery is often added to provide additional color to the bouquet. Green blooms may be used, as well as unopened blossoms if available. This creates a rich backdrop for the bright petals to shine against. White may also be combined with other colors for a bi-color impact. White and pink is often a charming way to show someone affection. Matching ribbons, such as polka dots, are often added to stems. For those who live outside the city flower delivery is possible. Many may wish to send arrangements to areas outside the metro area. For this reason, some florists often offer delivery to these areas. The same selections available for cities are available for elsewhere. These include sleek and elegant arrangements as well as specialties. Special orders, such as large bouquets or exotics, can also be filled. Another option is to choose more country or rustic themed bouquets. Rustic arrangements often feature sprays of greenery or plants. These are often given in a painted vase or a woven gift basket. Those who live on the edges of the county may not have local florists. A local shop may be further away, making a quick visit difficult. For this reason, ordering online can often be the best choice to make. As with city delivery, delivering to other areas is simple to plan. 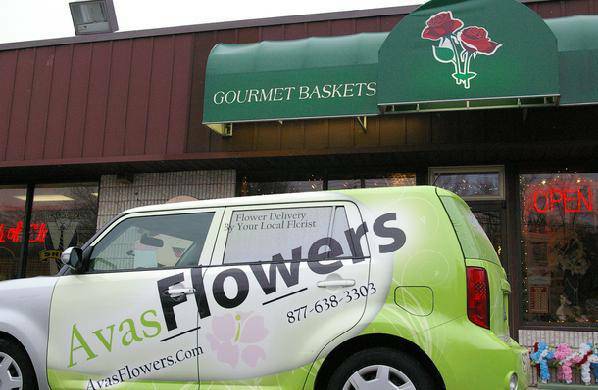 Many florists have a list of locations that they can deliver to. This often includes many of the rural, suburban and urban areas. Checking the website can make it possible to know the delivery range. Others may choose to call ahead to make sure their area is serviced. This is recommended before placing an order for arrangements online. Planning ahead is also important for planning very special occasions. This is also recommended when the order will have special requests. Requests may include a deluxe selection of flowers or exotic blooms. Preparing for special orders may take time depending on the request. Some online orders may need to be placed up to a week in advance. City flower delivery also includes same day bouquets on the website.